Carolyn Jess-Cooke has written some of my very favourite poems about motherhood. I read her book Boom! published by Seren, and all I kept thinking was: that is exactly how I feel about it. Such authentic, clever writing. Carolyn is a writer who, I think, captures something very universal about motherhood and mothering and she expresses it in such beautiful lines. Boom! is a very honest book and looks at parenting from different perspectives, including the lows as well as the highs. From the title poem Boom! It captures the explosive nature of having a baby; everything you knew is blown apart and re-made into something that contains this new person. I urge anyone looking for a book about motherhood to buy Boom! After putting out a call on Facebook and Twitter for poems ‘ that articulate some aspect of mental illness – whether as sufferer, survivor, carer or friend’ Carolyn has arranged them into a series of 7 posts. Today is day 3 and features one of my poems called Dark Thoughts, Lately. I am grateful to be included amongst such excellent poets. So far each post has been full of breathtaking poems that articulate different aspects of depression. 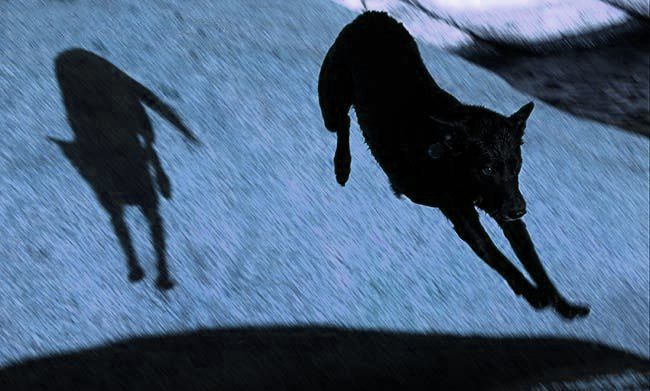 I keep re-reading them because it is comforting to know you are not alone with the black dog, as it sleeps just outside the door, waiting.